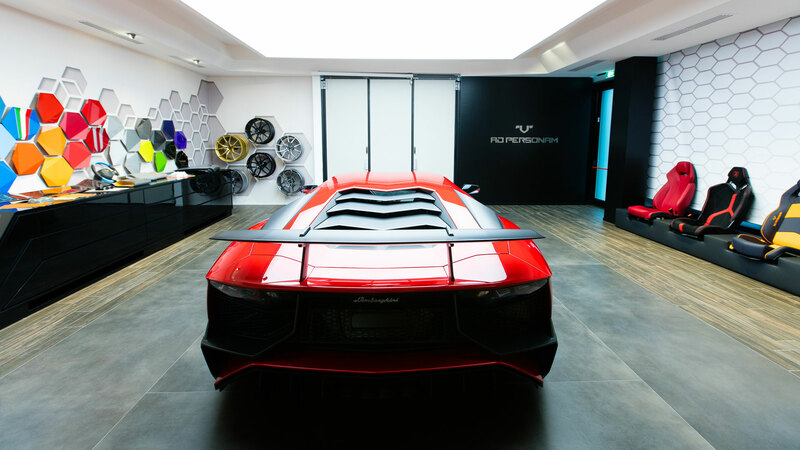 The new Ad Personam Studio, for which Archilinea also developed the design project, has been completed at the historic Automobili Lamborghini site. Located in close contact with the factory, the new facility houses a customer experience involving the creation of a genuinely tailor-made car. It is a sophisticated, minimalist space designed to offer Lamborghini customers a unique experience: they will be accompanied by an Ad Personam specialist in all phases of selection of the colours, equipment and materials of their future supersports car.